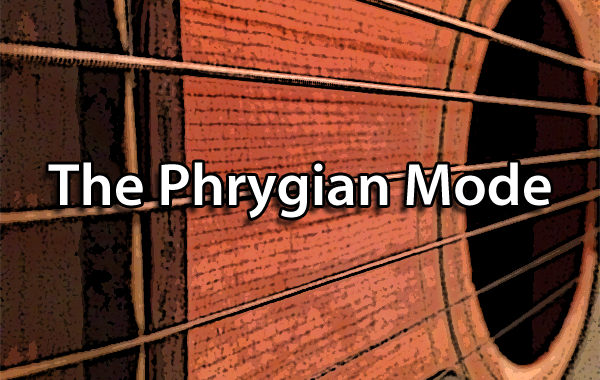 The relative minor scale concept is simple yet very powerful and eye opening when you first grasp it. You can use it to write solos and improvise over most popular songs. 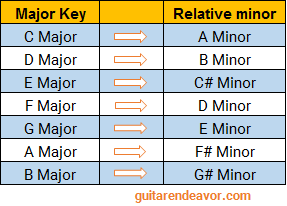 What Is the Relative Minor and How to Find It? Every major scale shares the exact same notes as a minor scale. Both scales are said to be relatives to one another. To find the relative minor to any major scale just go down 3 half-steps. On a guitar, this is 3 frets lower. Another way to approach this is to look at the 6th of any major scale to find its relative minor key. In other words, a minor scale is simply a major scale starting on the 6th note. For example, the C Major scale notes are C-D-E-F-G-A-B-C. The notes to its relative minor (A minor) are A-B-C-D-E-F-G-A. How Is It Different from the Major Scale? Even though the two scales share the exact same notes they won’t sound similar when played over the exact same chord progression. This is because they each resolve on a different note. This gives them a major or minor sound. 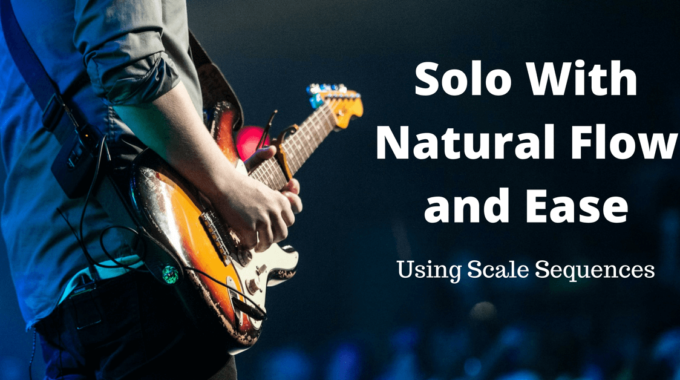 Also, it will drastically change the way you approach your soloing since you will revolve around different notes. Here is an example of this over a G major chord progression. The difference in the previous example is subtle but when playing solos in a popular music context (pop, rock, blues, soul etc.) the relative minor is very handy. 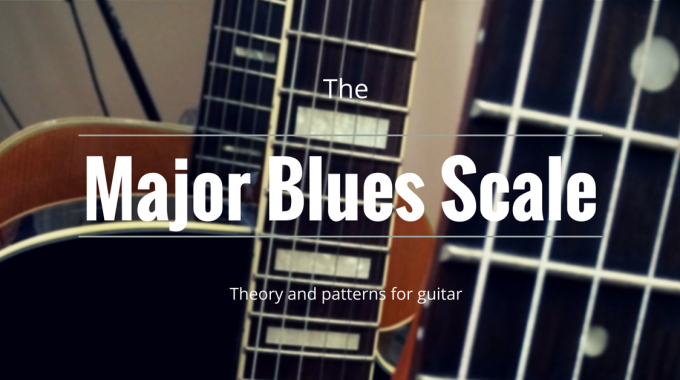 You can use it to find which minor pentatonic scale fits best with a major chord progression. Playing the minor pentatonic version of the relative minor will give you a more rock and bluesy sound. When improvising, you have to know the key of the song before doing anything. But when playing around a fire camp this might not be clear and you could have to find it rapidly on your own. Fortunately, in a pop context, the first chord of a progression is most likely the root key of the song. If it has a major sound to it, you can go straight to the relative minor pentatonic to improvise. However, if it has a minor sound you would be better sticking to the root to play the minor or minor pentatonic. When I first understood this I was frustrated I didn’t know this before! After all, this is such a practical concept! previous post: String Skipping: What You Need to Know and How to Add it to Your Own Guitar Playing.